Proctor & Gamble, maker of Pepto-Bismol, recently partnered with retailers to help shoppers with Tummy Trouble. When the occasion occurs that we overindulge in food and drink, Pepto-Bismol offers 5 Symptom Digestive Relief for upset stomach, heartburn, indigestion, nausea and diarrhea. 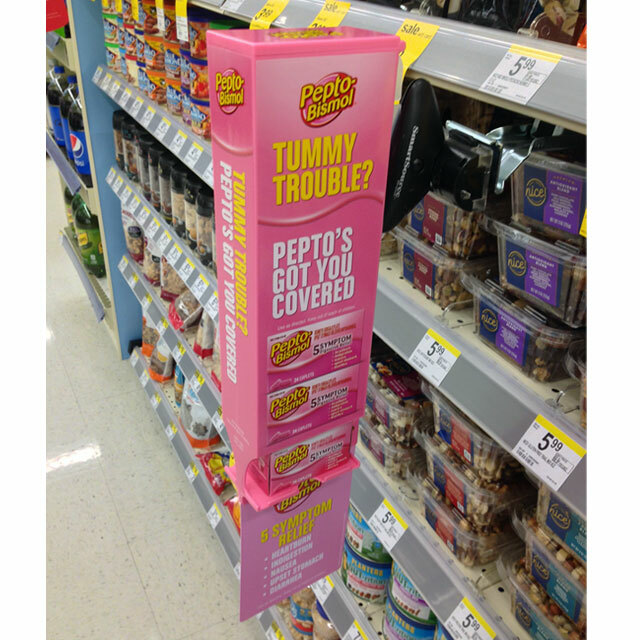 The brand delivered their ‘5 Symptom Relief’ message using this aisle violator display. 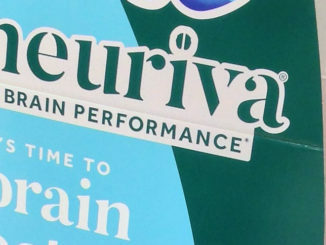 The plastic display offered messaging on all three sides which included brand assets and taglines. 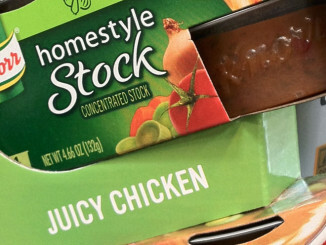 The two-sided display was designed so that product could be shopped from both sides. 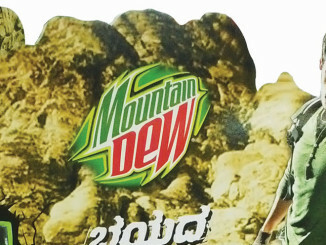 Just above the product openings, there are two images of the package front which help balance the graphic layout and serve as a silent salesman when product is sold out.